I just love the conviction of this scene. I love that, even though we know Mary and Mary were women living in an extremely patriarchal world—even if it was one inhabited and graced by the presence of Jesus—where women, and even many men, were without voices, and often, without faces, in discourse, they still speak. Not only in Matthew but in every account of Jesus’ resurrection, it is his women disciples who are the first to witness the risen Christ. And it was to them that the most important message of the entire Gospel was entrusted—Christ is risen. You’d think if there was a message that you needed to be heard, that you wanted more than anything for people to get, you’d want the person with the loudest voice, the most charisma, and probably also the highest social standing to deliver it. But Jesus didn’t choose people with big voices. Jesus entrusted the good news of his resurrection to people who probably weren’t used to issuing proclamations of any kind, not in public life at least, and these were also the most easily ignored speakers as well. For the full unfolding of the reality of the transformation of death into life in the world, it seems like there are two things that God’s relying on. The first has to do with the hearers. I think it boils down to something like, “Be prepared to hear the truth, be prepared to receive life, from places you’d never expect.” The male disciples didn’t think that Jesus was going to be resurrected. Having the two Marys be the first witnesses meant to spread the word to the other disciples also encourages a humility in the male disciples, and asks for the kind of generosity that can only be extended when one doesn’t know what’s coming. It encourages us to be ready not to be ready, as in true hospitality, to receive that otherness that comes to us in love from beyond. In a way, making God’s truth reliant upon its hearers’ ability to listen to speech from the margins, even though and maybe especially if they stand nearer to the center, suggests that we don’t own this message, but are owned by it. The second thing God is doing with the Marys themselves. They are witnesses to and bearers of a truth that renders not just their social status as second-class citizens but also the internalized toxic shame that goes with it mute in the face of the glory of what Christ has done. They are seen as full subjects, legitimized as speakers and truth-tellers, because Christ chose to rise to—and in—them first. What I like about the image of the First Station of the Via Lucis is that it bespeaks a kind of 360 degree freeing action of the good news: the Gospel frees not only those who hear it, but also those who dare to speak it. 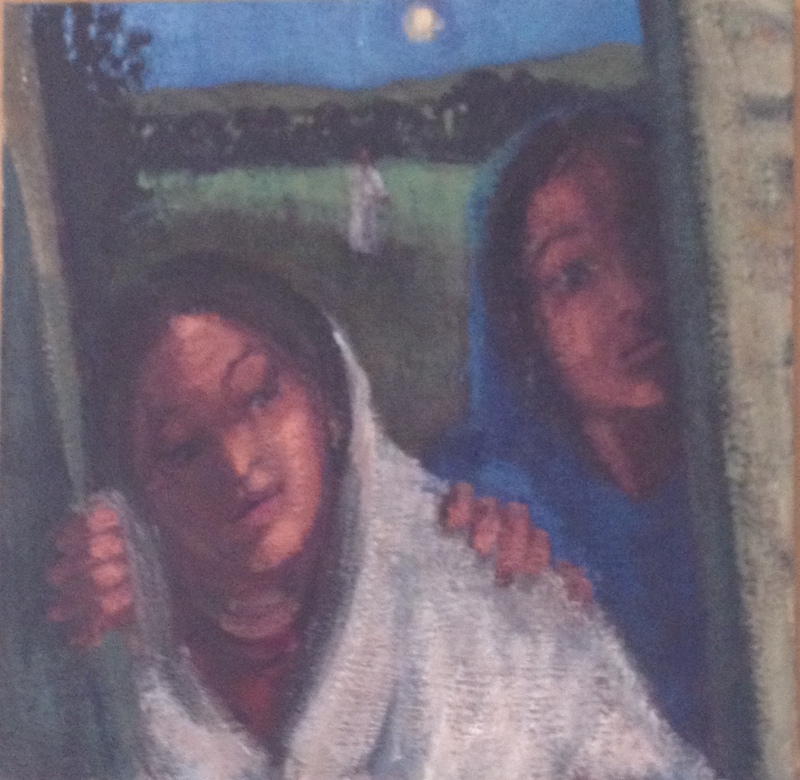 You are currently reading First Station of the Resurrection: The Two Marys at Blog of St. Luke in the Fields.